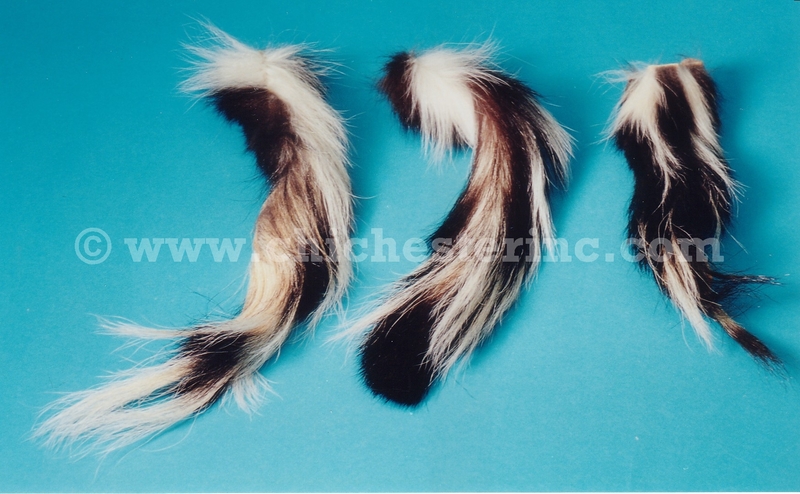 We have a limited number of tanned skunk tails. Sizes range from about 5" to 18" or so. These tails have a bit of aroma to them, but do not smell much. They are great for craft projects as well as for fly tying for fly fishing. For an extra US$5.00 each, we can make them into keychains or add a black leather strap for hanging. Genus and species: Mephitis mephitis. Skunk are not endangered and are not covered by CITES.